The KONG Flyer Frisbee Extreme is a flexible frisbee made of ultra-indestructible Extreme rubber. Available in size Large. The KONG Flyer Frisbee Extreme is an aerodynamic frisbee for dogs. The strong rubber can withstand even the most enthusiastic of dogs and will show nearly no wear. In addition, the frisbee is flexible enough to fold and take with you. This toy is soft for your dog's teeth and gums. The frisbee is available in one size only. 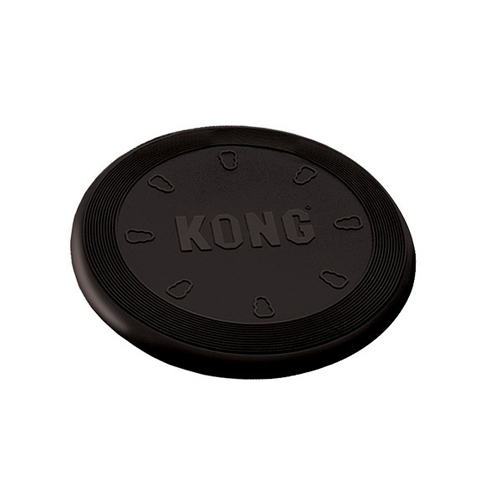 Have you used KONG Extreme Flyer Frisbee before? Let us know what you think about this product.